The brief: to design 4 perennial tentpole brands to mark key seasonal events in the wizarding world. Annual tentpoles drive momentum and future-proof the franchise for periods where there is no new content. Remaining fresh for years to come by introducing new themes year-on-year. A cross-divisional, cross-category proposition that fits around the retail calendar. To kick off with, we created four new themed logos for Magical Mischief around April Fools Day, Back to Hogwarts in September during back to school activity, Dark Arts for Halloween and Christmas in the Wizarding World during the festive season. 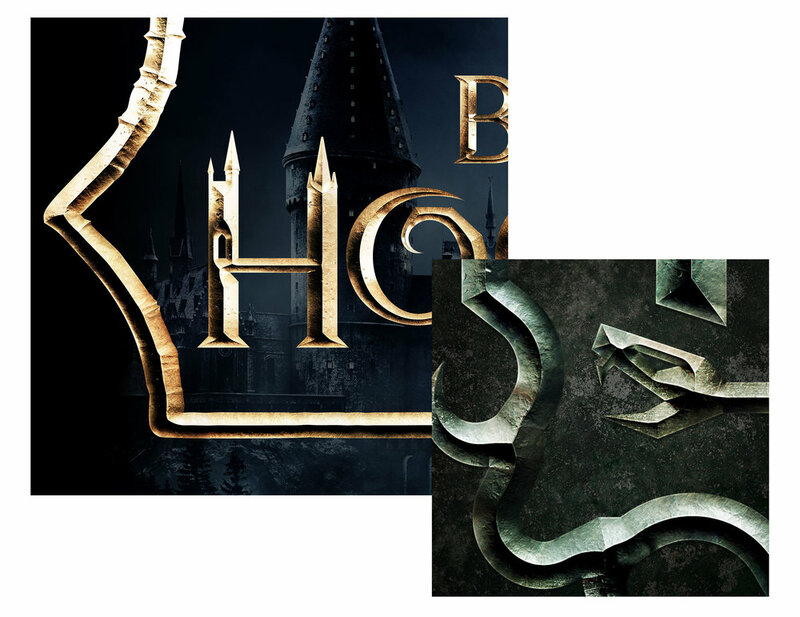 By leveraging identifiable Wizarding World™ iconography that appeals to everyone, not just Superfans, we created distinct letterforms that are easily identifiable to relevant themes. WTF created conceptual designs through to global brand guidelines for these four new tentpole brands. Launching first with Back to Hogwarts in September 2018, followed by Dark Arts and Christmas in the Wizarding World. Magical Mischief will feature in April 2019.